Every day, American nonprofits, charities and libraries rely on TechSoup's product donation program for the information they need to make smart decisions about technology. But did you know that our work is global? TechSoup's mission is to build a dynamic bridge that enables civil society organizations and changemakers around the world to gain effective access to the resources they need to design and implement technology solutions for a more equitable planet. 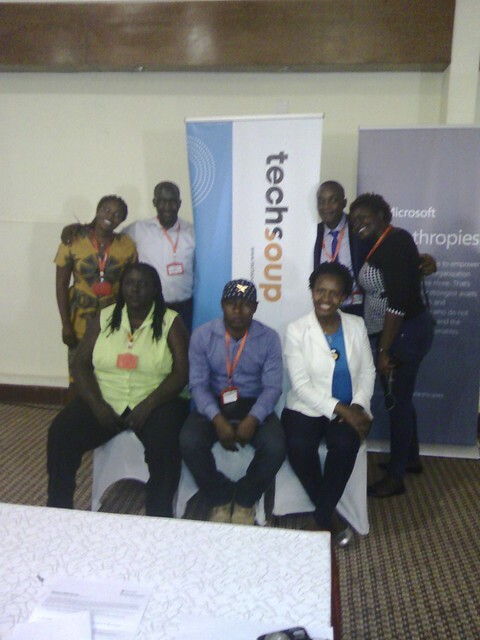 In collaboration with the TechSoup Global Network, our trusted partners give organizations worldwide access to the solutions they need. TechSoup's catalog includes more than 375 products from over 90 companies like Microsoft, Adobe, Cisco, Intuit, and Symantec. However, access to the tools isn't enough. It's how you use technology that makes all the difference. That's why TechSoup created NetSquared, our global network of volunteer-led tech4good meetups. We believe that NGOs learn best from each other, so NetSquared provides a platform where we can come together face-to-face to share technology tips and create a community of practice around tech for good. Our NetSquared leaders are currently holding free events in 24 countries and meet with their local TechSoup partners to collaborate on how to best support nonprofits in their country. NetSquared's direct on-the-ground support of nonprofits gives them a unique insight into the technology needs of small grassroots nonprofits. That's why we invited NetSquared organizers and Ambassadors to participate in the TechSoup Africa and TechSoup Europe Summits. TechSoup will only be able to achieve our mission (which is to help you achieve your mission) when we're able to give you the tool, skills, and community to leverage technology effectively. Naples, FL: Show off your Tools! Morrisville, NC: Get Your Holiday Cheer On! Nairobi, Kenya: Netsquared Kenya joins MLH Hackathon 3rd December 2016.